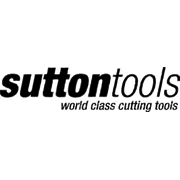 Suttons Holesaw TCT 10mm Hex Pilot Drill is built for use with multi-purpose holesaws, WHC10 arbors and adaptors. It features a tungsten carbide tip for drilling masonry and abrasive materials such as timber, hardwood, softwood, MDF, plaster board, compressed fibro, cement sheet, plastics, ceramic tiles and bricks. It is made from high speed steel and has a hex shank, which gives a secure a positive grip.